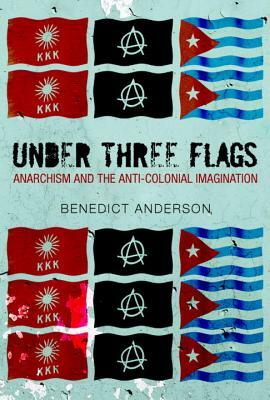 In this sparkling new work, Benedict Anderson provides a radical recasting of themes from Imagined Communities, his classic book on nationalism, through an exploration of fin-de-siecle politics and culture that spans the Caribbean, Imperial Europe and the South China Sea. A jewelled pomegranate packed with nitroglycerine is primed to blow away Manila’s 19th-century colonial elite at the climax of El Filibusterismo, whose author, the great political novelist Jose Rizal, was executed in 1896 by the Spanish authorities in the Philippines at the age of 35. Anderson explores the impact of avant-garde European literature and politics on Rizal and his contemporary, the pioneering folklorist Isabelo de los Reyes, who was imprisoned in Manila after the violent uprisings of 1896 and later incarcerated, together with Catalan anarchists, in the prison fortress of Montjuich in Barcelona. On his return to the Philippines, by now under American occupation, Isabelo formed the first militant trade unions under the influence of Malatesta and Bakunin. Anderson considers the complex intellectual interactions of these young Filipinos with the new “science” of anthropology in Germany and Austro-Hungary, and with post-Communard experimentalists in Paris, against a background of militant anarchism in Spain, France, Italy and the Americas, Jose Marti’s armed uprising in Cuba and anti-imperialist protests in China and Japan. In doing so, he depicts the dense intertwining of anarchist internationalism and radical anti-colonialism. Benedict Anderson is Aaron L. Binenkorp Professor of International Studies Emeritus at Cornell University. He is editor of the journal "Indonesia" and author of "Java in a Time of Revolution, The Spectre of Comparisons: Nationalism, Southeast Asia, and the World" and "Imagined Communities."